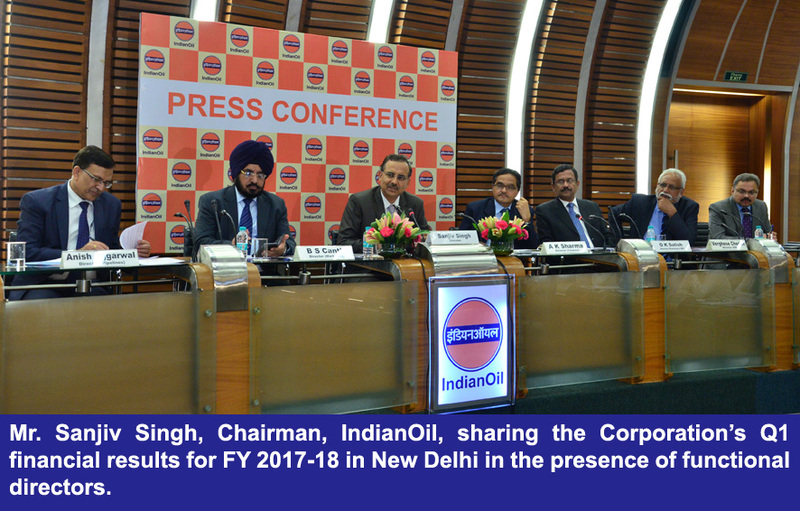 IndianOil’s income from operations for the quarter ended 30th June 2017 rises by 19.6% at Rs. 1,28,191 crores as compared to Rs. 1,07,197 crores in the corresponding quarter of 2016-17. Net profit for the current quarter was Rs. 4,549 crores as compared to Rs. 8,269 crores in the corresponding quarter of 2016-17 which was mainly due to inventory losses incurred during the current quarter.